The objective for this project was to promote an existing paper company that showcases the character of a specific line of paper. 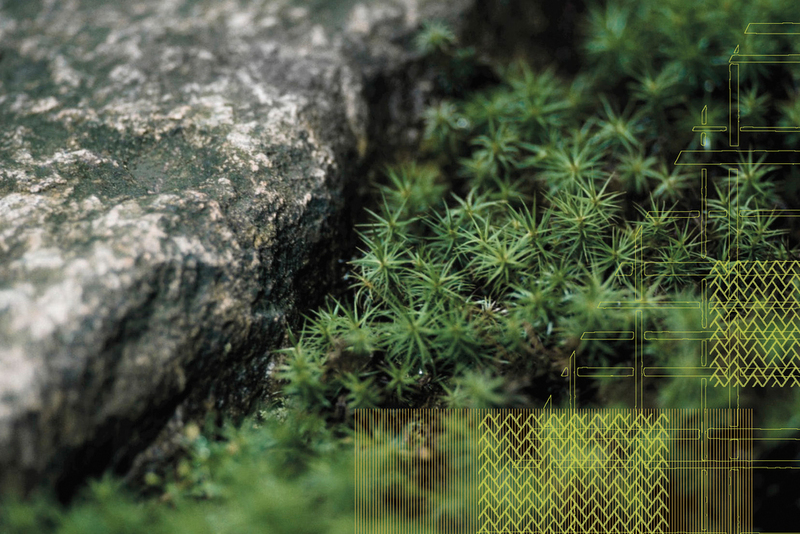 Speckletone by French Paper Company is a recycled paper with flecks and shives. It reflects the beauty of nature and imperfection. 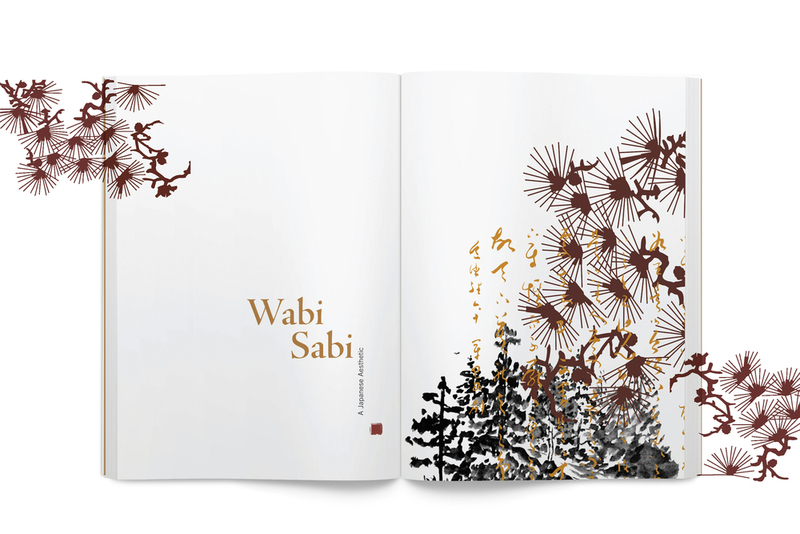 The concept behind this conceptual experimental book is wabi-sabi, which is the quintessential Japanese aesthetic. 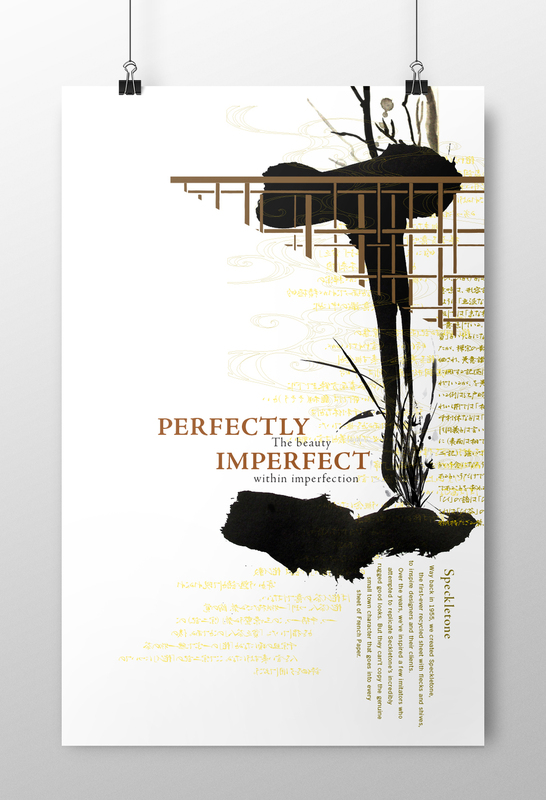 Wabi-sabi refers to the beauty of things that are imperfect, impermanent, and incomplete, and it also relates to the character of Speckletone. 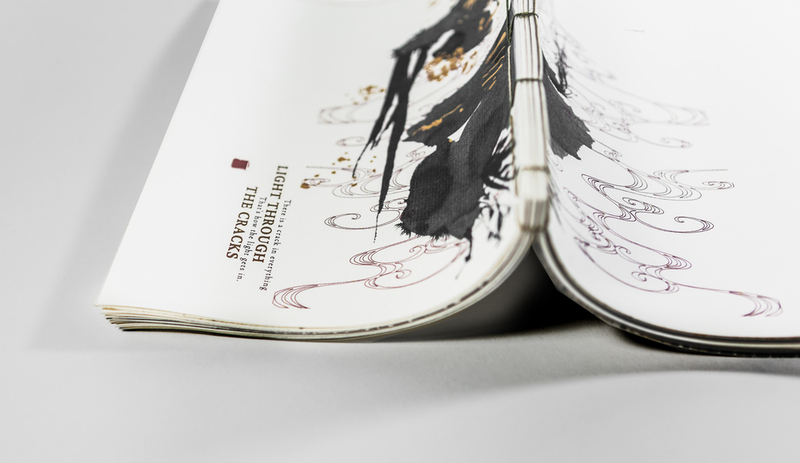 The typographic treatments in the book and poster are inspired by traditional Japanese painting and calligraphy. 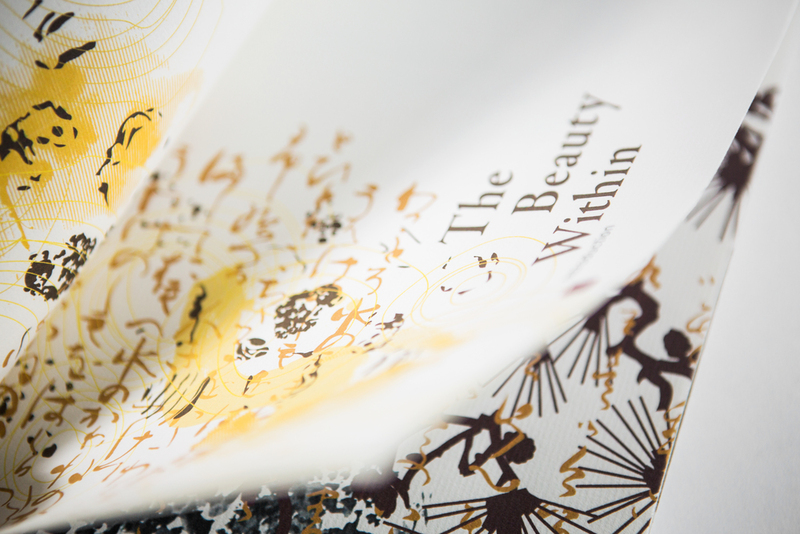 The typesetting and the texture mimic the organic forms in nature and reflect the beauty of imperfection in a poetic way. The book is finished with Japanese stab binding by hand.